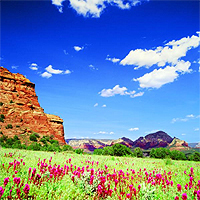 Sign up for a private, free listings portal, and search for all Sedona properties. 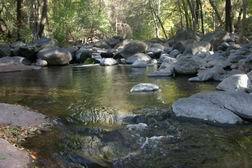 Click here to search all properties for sale in Sedona. Specializing in homes for sale and the Sedona real estate market, you have found with Elisa Andreis J.D. 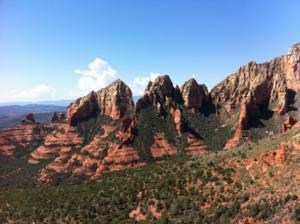 your Realtor resource for buying and selling your next Sedona house. With expertise in realty for both purchasing and listing properties in Sedona and the Verde Valley. You can now access in real time all MLS property listings and get comprehensive reports for each property of your choice. Simply select your search criteria, price range and type of property you are looking for. Results will be displayed on the interactive map to help you further select the neighborhood and specific property you are looking for. In addition to accessing real estate for sale, this website features comprehensive community information for Yavapai and Coconino County areas that can help guide you in making the right buying or selling decision. If your are selling your home, I will advise you on a winning strategy and assist you during the entire listing and selling process. As part of the Sedona Sotheby's International Realty team, I offer unparalleled level of service and commitment to buyers and sellers alike, international investors, and those looking for luxury properties in the Sedona area, including unique land opportunities and luxury homes. You are invited to experience the wonder of The Aerie, located minutes from Sedona’s world-class Enchantment Resort, the last significant collection of land in Sedona, AZ now the most desirable community in which to create a residence in harmony with the natural splendor of this unique landscape. A limited number of two- to four-acre homesites are now available, ranging from the high $200,000’s to $500,000. Showings are available by appointment ONLY. Call me to set a time (928)2741521. 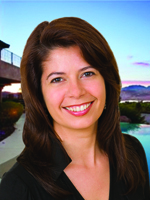 She is a member of the Sedona Verde Valley Association of Realtors in Northern Arizona.